Lady Lilith Montgomery is the daughter of the sixth Duke of Radnor. She is one of the most beautiful young women in London and engaged to the city’s most eligible bachelor. She is also a witch. When her father dies, her hapless brother Freddie takes on his title. But it is Lilith, instructed in the art of necromancy, who inherits their father’s role as Head Witch of the Lazarus Coven. And it is Lilith who must face the threat of the Sentinels, a powerful group of sorcerers intent on reclaiming the Elixir from the coven’s guardianship for their own dark purposes. Lilith knows the Lazarus creed: secrecy and silence. To abandon either would put both the coven and all she holds dear in grave danger. She has spent her life honoring it, right down to her engagement to her childhood friend and fellow witch, Viscount Louis Harcourt. Until the day she meets Bram, a talented artist who is neither a witch nor a member of her class. With him, she must not be secret and silent. Despite her loyalty to the coven and duty to her family, Lilith cannot keep her life as a witch hidden from the man she loves. To tell him will risk everything. PAULA BRACKSTON is the New York Times bestselling author of The Witch’s Daughter and The Winter Witch. 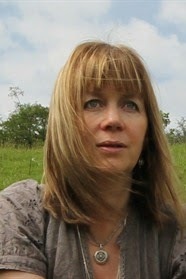 She has a master’s degree in creative writing from Lancaster University in the UK. She lives in Wales with her family. To put it short and sweetly: I loved this book. It's been a while since I've read such a bewitching witch novel. Paula Brackston is a captivating author with a gift for storytelling that is sure to keep even the most skeptical of readers wide-eyed! 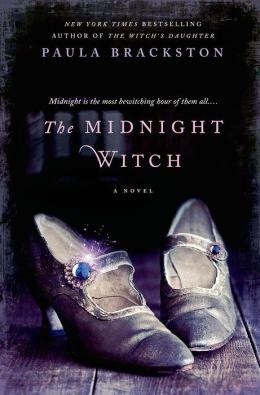 Not only is the book a great story, but the details of a coven and witches were so realistic. Beautifully cast, the finest outlines of persons, clothing and places make this novel come alive. I was spellbound. I could see the vivid colors, the ghostliness of the coven's inter sanctum, and the fearsomeness of some of the characters. Ms Brackston leaves no stone unturned to give us a gorgeous picture of her characters and their settings. I also appreciated so much the secondary story of the artists, their sensibilities and passions. The love story of Lilith and Bram is wound elegantly throughout, and it's difficult not to fall in love with both of these main characters. Bram, as an artist, appealed to me because of this additional dimension and his compassion. This is a novel with much to offer. Not the run-of-the-mill story... It's a study in the sacred bonds of family and lovers, vows and secrets. Not to be missed!! I highly recommend it on many levels: Excellence in writing, great characterization, descriptive detailing, background and ambience, love story, bewitching tale and more.